There’s that difficult transition, when toddlers begin asserting their independence and refuse to drink out of sippy cups – because they’re “for babies”. This cup is the perfect go-between, and it’s more than meets the eye. Glass and toddlers generally don’t mix. But under the protective embrace of silicone, the EIO Kids’ Cups provide an innovative, transitional and cheerful change to traditional training cups. The glass part of the cup is actually a 250ml jar. It forms the perfect size for small hands, and is enveloped in a silicone sleeve to make it easy to grip. 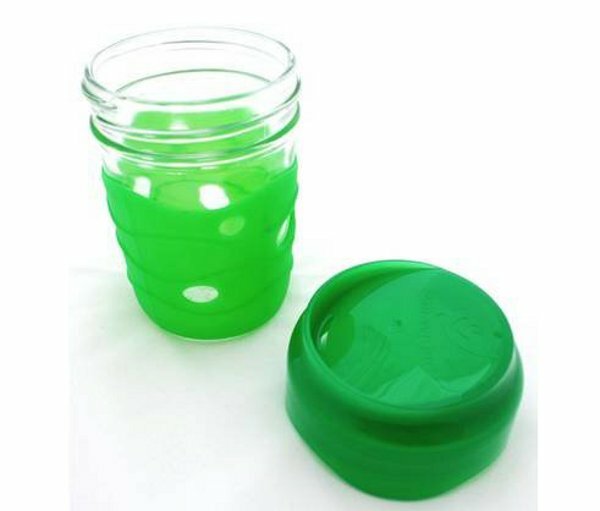 The slanted screw top fits onto the threads of the jar, and transforms it into a cup. The top is slanted, making for easy drinking. The cup doesn’t have any valves or spouts, allowing the child to drink completely of their own volition. The manufacturers cite studies into the dental health of children who use sippy cups with spouts, and the arguments do seem plausible. Regardless, if you’re keen for your child to begin the move to drinking from a standard glass or cup, this appears to be a clever stepping stone. The sleeve and lid are removable, but can also be left on the jar for washing (which can be done in the top rack of the dishwasher). 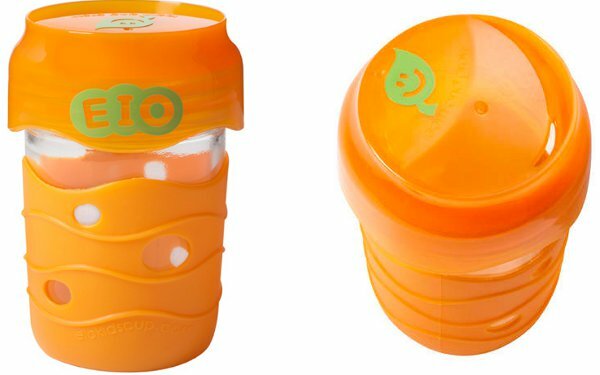 The EIO Kids’ Cups are recommended for children from eighteen months, and come in a choice of three colours – green, orange or purple, for $19.86 each, from Ambient Shack.